Three mini cars, two functioning ramps, and a detachable trailer - let's get driving! For ages 3-6 yrs, from Green Toys. 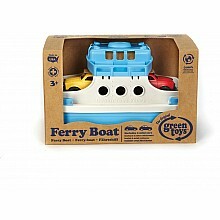 Two cars fit in the ferry, for a voyage across the sea or bathtub! For ages 3-6 yrs, from Green Toys. 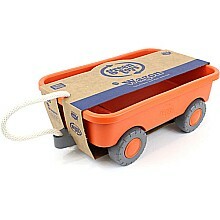 Sturdy, safe and environmentally friendly wagon for little ones! 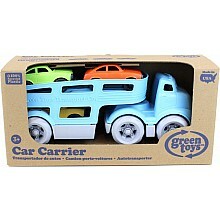 From Green Toys, for ages 1 1/2-3 yrs.